Yank Sing has one of its two locations at 49 Stevenson Street. Iconic San Francisco dim sum restaurant Yank Sing faces a $4 million back-pay settlement with the state labor commissioner amid allegations that it abused workers for years. The state labor commissioner and community groups assisted in brokering the settlement on behalf of 280 workers at the Michelin-rated restaurant. The money represents back pay for minimum wage, meal, rest period, and other labor code violations, and is being distributed to employees of the restaurant’s two San Francisco locations on Wednesday, California Labor Commissioner Julie A. Su said in a statement. The settlement follows allegations by hundreds of Yank Sing servers and kitchen staff that for years they were underpaid and faced mental and physical abuse from managers. 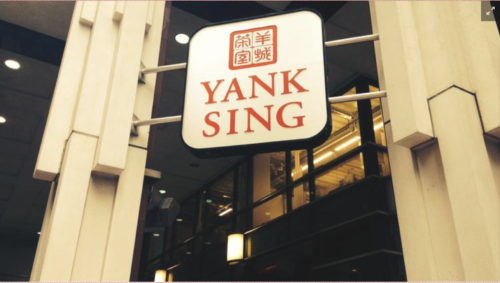 Yank Sing has two south financial district locations, at 49 Stevenson St. and 101 Spear St.
“We’ve just really reevaluated the entire scope of the business,” Yank Sing General Manager Jonathan Glick, who was hired to help turn the restaurant around, told the Business Times on Wednesday. The restaurant will now offer comprehensive benefits, including health insurance, family and vacation time and flexible spending accounts, to its full-time staff, he said. State investigators found that employees at Yank Sing were paid the state minimum wage of $8 per hour, rather than San Francisco’s $10.74 minimum wage. Management kept or misdirected to ineligible employees about $1 million in tips intended for workers over a four-year period, the state said, and employees weren’t paid for all hours worked. The Chinese Progressive Association and other community groups worked with the state’s labor commissioner to investigate the allegations and to institute changes. Of the $4 million being distributed today, about $1.4 million is for minimum wage violations, the state labor commissioner said, and $1.4 million is for overtime pay violations. Another $1 million is restitution for withheld gratuities, and the balance of the settlement is primarily compensation for meal and rest period violations.